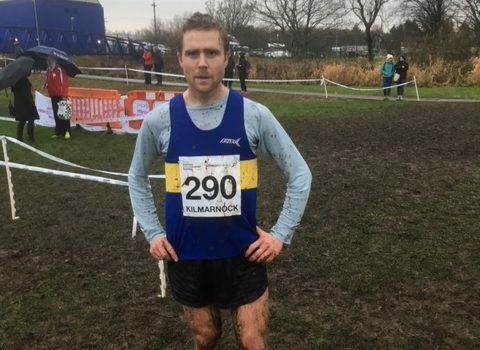 Lachlan Oates continued his winning ways when clinching the Scottish 10 Mile title, to add to his 10000m and 5km titles. He is having a great 2018 -19, his time of 49.15 saw him well clear of the rest of the field. The 10 Mile Championships is held within the Tom Scott Memorial race and Lachlan joins a number of other Shettleston athletes to win this prestigious race. These include Olympians Lachie Stewart and Tesgai Tewdele, he is the 8th Shettleston athlete to get his name on the trophy. As well as winning the National Title Lachlan also took the West District title. In the accompanying 6km race we had a host of good runs with Charlene Manly taking 3rd in the Female race. It was great to see Jessica Oliver Brydon back out racing again and she took 4th place. The only man to run was Denis Williams who finished 12th over all and first in the M50. It was a busy weekend for club members with Brian Scally in Poland for the World Masters 1/2 Marathon Championships. Torun was the venue with Brian finishing 11th in M50 age group with a time of 80.03. Meanwhile in Belfast Fionnuala Ross finished 2nd female in a time of 34.13 in a high quality race in the Titanic Quarter 10km. Over in the East of Scotland two Harriers made the trip to Alloa for the 1/2 marathon. It was the end of a era with Murdo McGregor retiring from his announcement duties just short of 80th birthday. He has been an excellent friend to the club inviting many of our athletes to the race over the years. Stephen Winters was 55th 81.57 and David Murphy was 301rd 96.00).